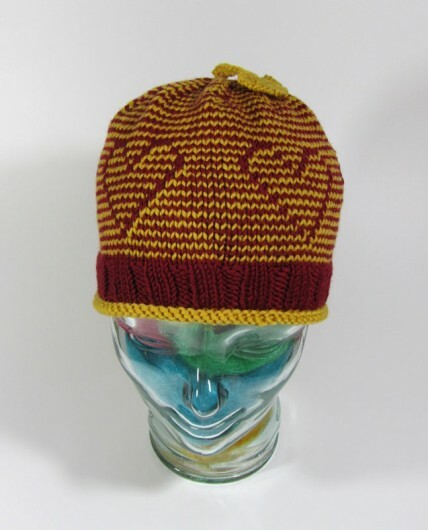 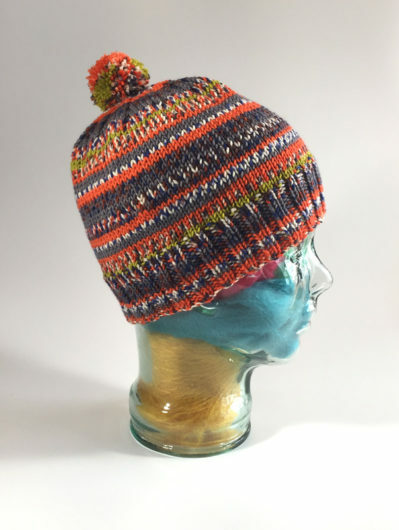 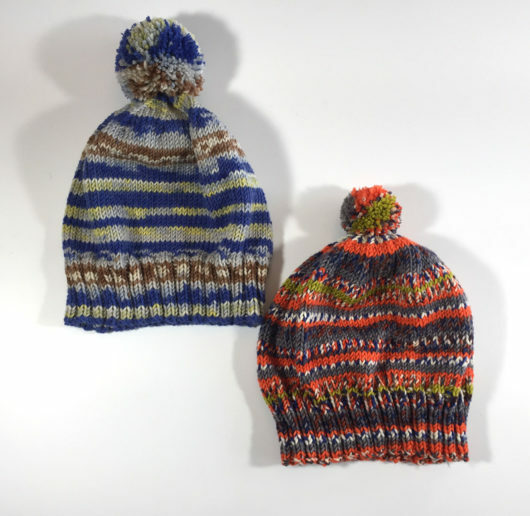 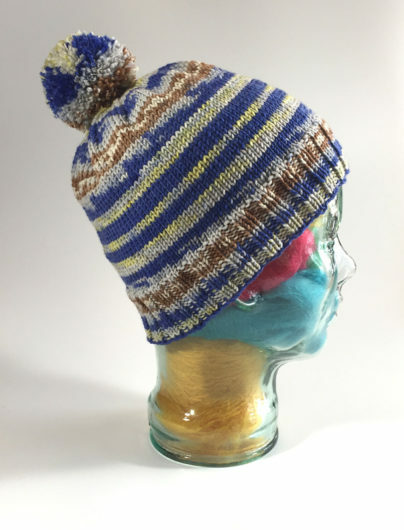 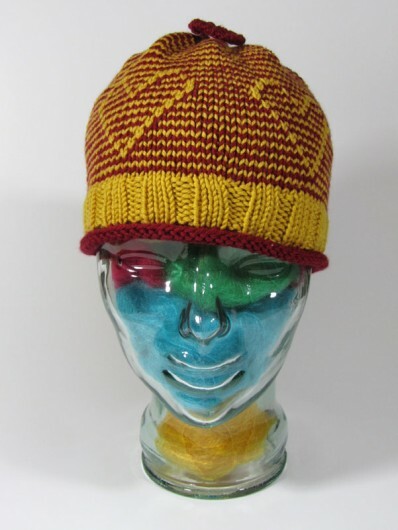 This is a new Knitwise Design hat pattern, Young at Heart, shown here in Plymouth Yarn Worsted Merino Superwash Solid. 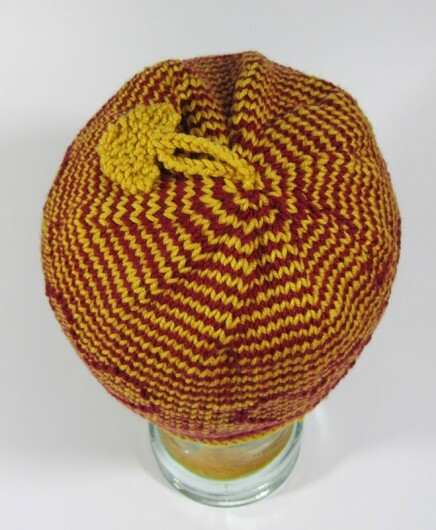 The pattern is set out in 4 sizes, for heads ranging from 18 inches (a toddler) to 24 inches (a pumpkin-headed adult). 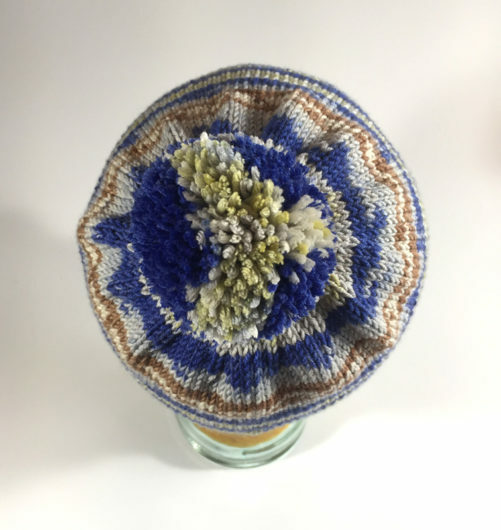 Linda has been exploring an interesting slip stitch technique lately, first with the sock pattern, Flora and Stella, sporting slip stitch blossoms and stars on a striped background. 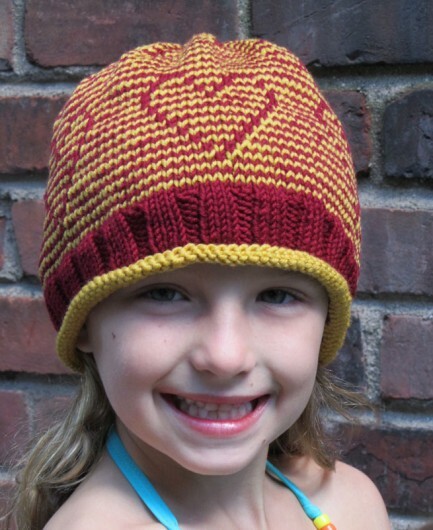 And now we have the slip stitch hearts on this sweet hat. 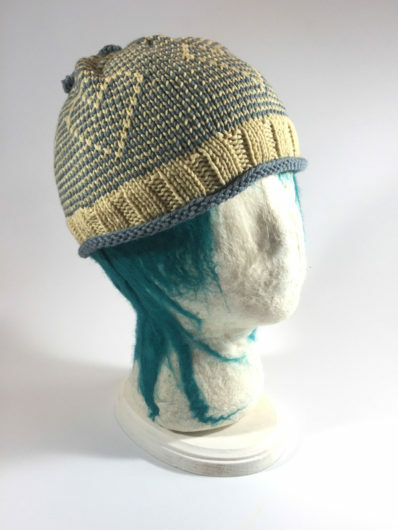 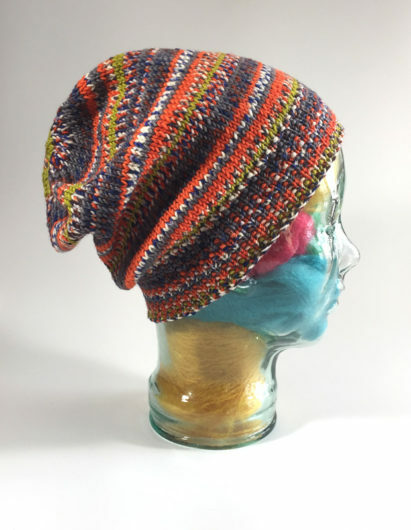 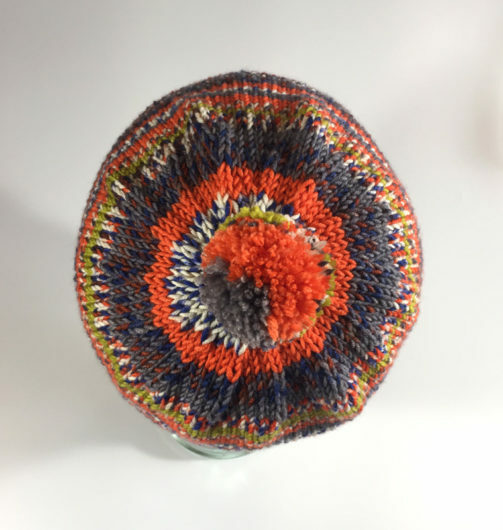 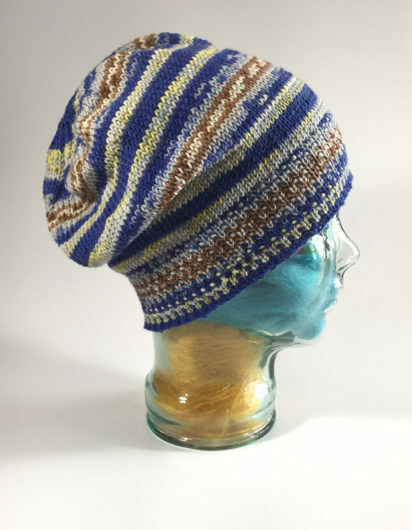 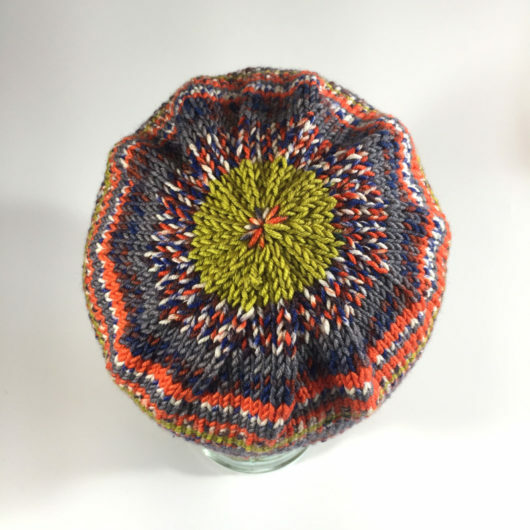 I was so struck with this fun technique that I quickly made a second hat, reversing the colors. 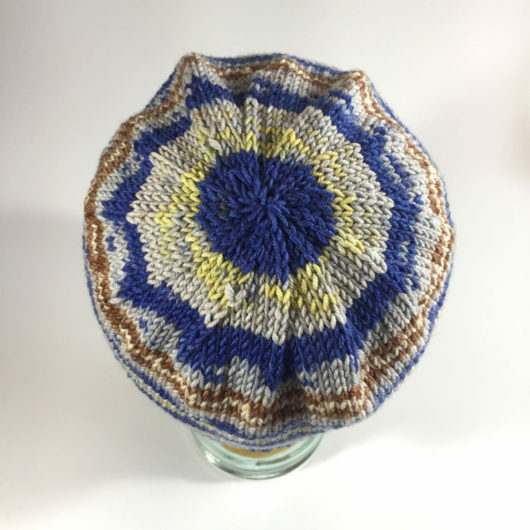 And you likely already spotted the cute heart topper. 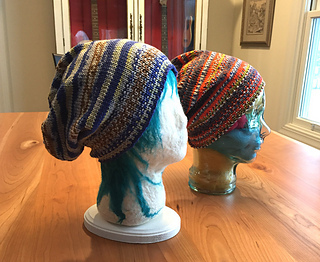 I had an extra incentive to knit two hats. 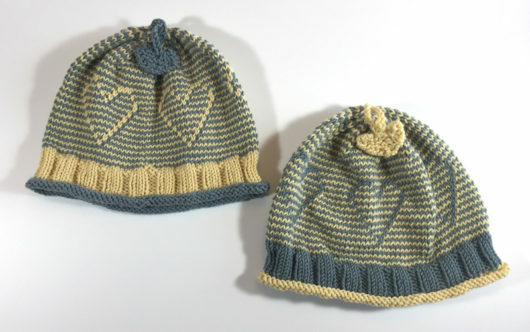 Here’s one half of a set of twins who were gifted with these. 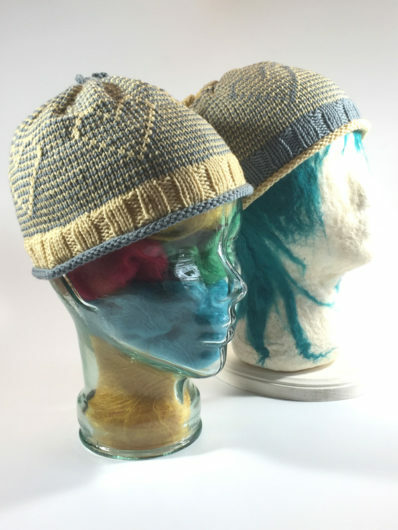 They are perfect for twins who want to show off they’re twins, but not identical.